Tired of trying to find the perfect figures to represent the forces of the Raj? Well, Sikh and Yee Shall Find…. 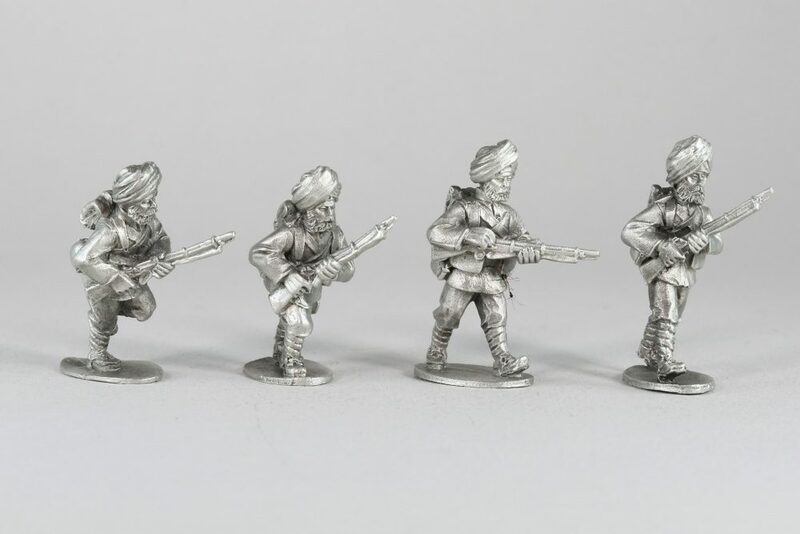 Pontoonier Miniatures has released more new figures for their Third Anglo-Burma War range. These fantastic figures, sculpted by Mr. Paul Hicks, are specifically for the late Victorian conflict in Burma, but will work for a host of other periods including the Second Afghan War. Pontoonier realizes there is nothing more annoying than having to use the same officer or NCO figure over and over for your games, so we have created multiple command troops to add a more varied look to your units and panache to your games! Watch this space for more Victorian British, Indian Army and the return and expansion of our Burmese regulars. Pontoonier Miniatures are available exclusively at Badger Games! This entry was posted on Tuesday, February 20th, 2018 at 17:31 and is filed under News. You can follow any responses to this entry through the RSS 2.0 feed. You can skip to the end and leave a response. Pinging is currently not allowed.